This year i finished all my Christmas shopping for presents and wrapping a few weeks ago but i was lacking in writing Cards and don’t get me started with putting up the Tree, yep you might have guessed we still haven’t got one time is just flying by and we haven’t had a weekend with nothing on yet so we are hoping to get a tree by Monday. But don’t despair LED Hut came to my rescue and send us some multi coloured LED Christmas Lights and yesterday after loads of begging from Finnster for the past week he helped me put up the lights in his window. Once they where up he loved the fact that he could push the button and have the lights in different settings and was fascinated by them getting weaker and turning themselves off for a few seconds, bless him! He even protested when i told him at bedtime that the lights have to go to sleep now because he wanted to watch them a little bit longer! Sorting through my Christmas box i actually threw 2 Christmas Lights chains away this year because they had so many lamps not working i didn’t like the fact that i needed to buy replacement bulbs for all of them and LED lights are the future, thats my opinion anyway! no further than the new Christmas lights range from LEDHut.co.uk. a touch of festive magic to your home, go green and slash bills for years to come! lights to wintry icicles, with multiple effects to suit all Christmassy settings. broken bulb in a tangle of cables a thing of Christmases past! grab your festive bargain today. 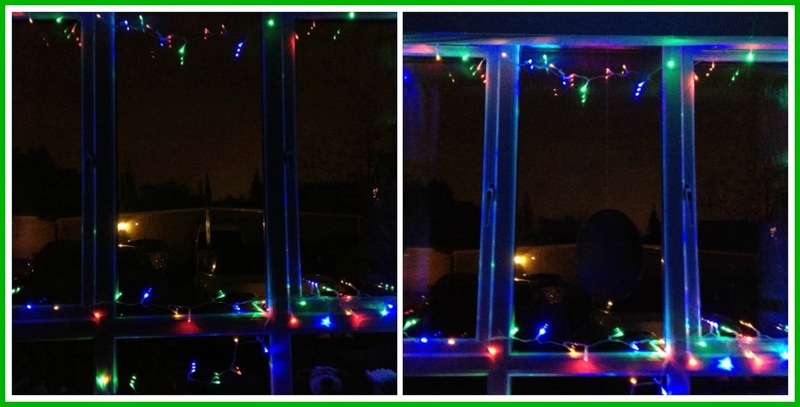 Disclaimer: The LED Christmas Lights from LED hut were send to me free of charge for reviewing purposes however all thoughts and opinions are my own.